Joining a vacation club is a great way of staying in some of the top destinations throughout the world. Whether you joined a vacation club directly buying points, or added your timeshare to a vacation club, the benefits of membership are endless. Resorts in Puerto Vallarta feature in virtually all of the major international vacation clubs such as RCI, The Registry Collection, Interval International and Universal Vacation Club and would be a superb choice for a vacation. So why use your vacation club points for accommodations in Puerto Vallarta? 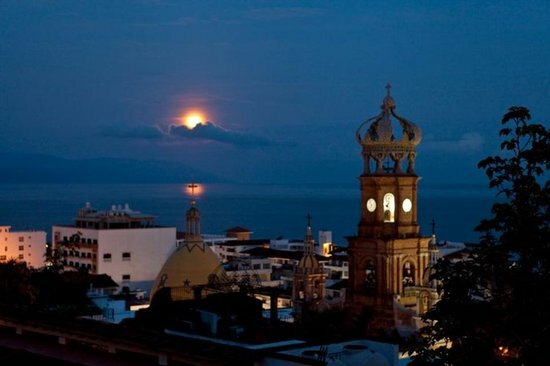 Firstly, Puerto Vallarta’s geographical surroundings are spectacular. Located on one of the largest bays in Latin America, Banderas Bay protects the destination from strong weather patterns and is home to some fascinating landscapes including lush mountains, waterfalls, deep ravines and flat golf courses. The beaches are also sandy and safe for swimming, while there are beaches perfect for surfing. Your vacation club will determine which resorts you will be able to choose from, but in general Puerto Vallarta is renowned for being home to great resorts to match all types of budgets. Garza Blanca Residence Club for example has agreements with RCI and The Registry Collection and offers luxury five star residences, while Villa del Palmar Puerto Vallarta deals with Interval International for more family focused accommodations. You won’t run out of things to do in Puerto Vallarta, that’s assuming you don’t want to sit on the beach or lounge by the pool every day of your stay. There are so many diverse activities available in this stunning port that you will be happy to return year after year! You can try your hand at golf, horseback riding, skydiving, bungee jumping, bird watching, yoga, paddle surfing, kayaking, swimming with dolphins, waterfall tours… the list goes on. Part of the delight of going on vacation is to try the local delicacies and dine like kings. Puerto Vallarta has a huge selection of restaurants for all budgets. There are plenty of international cuisine restaurants as well as traditional Mexican eateries and you could be lucky enough to be in town for one of the various gourmet and wine festivals.